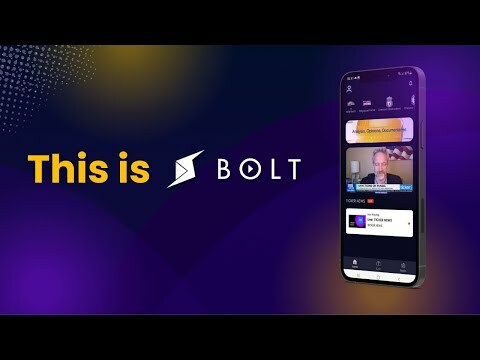 Bolt was founded in 2017 to give underbanked/unbanked users in emerging markets (the next 6 billion) access to truthful, curated and aggregated digital information and entertainment - mobile only, data bandwidth friendly. Existing payment gateways for the underbanked/unbanked in emerging markets are not deployed for global scalability, or business-friendly for digital services which try to bill through them. BOLT is an existing, mobile focused video content platform centred on delivering live (e.g. Live TV, Live Sports) and Trendy video highlights (5min in duration per clip) to emerging markets that are constrained by bandwidth. Today, we have users streaming our service on web and Android (iOS releasing soon). We are currently live in Malaysia, Indonesia, Bangladesh and Kenya via telcos and globally via Google Play and Fortumo. The BOLT Team is motivated by a single mission - to move communities and build economies, aided by the power of an immutable, decentralised network for the emerging markets. Bolt was founded in 2017 to give underbanked/unbanked users in emerging markets (the next 6 billion) access to truthful, curated and aggregated digital information and entertainment - mobile only, data bandwidth friendly. The BOLT Team is motivated by a single mission - to move communities and build economies, aided by the power of an immutable, decentralised network for the emerging markets. The BOLT Ecosystem will fundamentally be a suite of decentralised services powered by Zilliqa- enabling direct, secure access between content providers and consumers. BOLT tokens are capped at 1 billion tokens. The public contribution round will now occur over 48 hours, from 11th to 12th of September. We had to delay the Crowdsale due to the recent multiple SPAM attacks on the NEO blockchain and the resultant instability in settling transactions on the blockchain. The NEO team responded quickly and have made significant updates to the protocol to mitigate these attacks in the future.